Slovak Language training for corporate personnel, management, expats and their families. You can take your Slovak course in any global location; city or remote village we can provide training at your office, home or preferred location. To request a proposal for a Slovak course or for information on our fees, then please call us on +44 (0)1628 778 476 to discuss your language requirements. Or submit an enquiry on our website. 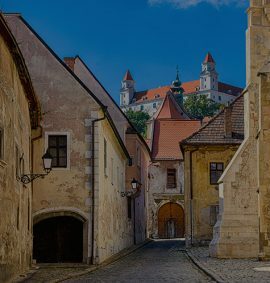 This course will enable you to travel in and around Slovakia using some basic Slovak. The language acquired will help enable initial contact, both face-to-face and over the telephone, and support a warmer interface with those you meet. Typically, you will be able to deal with practical functions such as hotel accommodation, transport (taxis etc. ), restaurants, purchases, and be able to present yourself in Slovak on a social and business level.